・有山啓之 2016. ヨコエビとはどんな動物か？―形態・色彩・生態について―. Cancer, 25: 121–126. ・森野浩･向井宏 2016. 砂浜フィールド図鑑(1)日本のハマトビムシ類. 海の生き物を守る会, 京都市. ・Bousfield, E.L. 1973. Shallow-Water Gammaridean Amphipoda of New England. Cornell University Press; Ithaca & London, 312 pp. ・Ishimaru, S. 1994. A catalogue of gammaridean and ingolfiellidean Amphipoda recorded from the vicinity of Japan. Report of the Sado Marine Biological Station, Niigata University, 24: 29-86. ・椎野季雄 1964. 端脚類. In: 内田亨『動物系統分類学』. 第7巻上. 節足動物 第1. 中山書店, 東京. - Miyamoto, H., H. Morino 2004. Taxonomic studies on the Talitridae (Crustacea, Amphipoda) fromTaiwan, II. The genus Platorchestia. 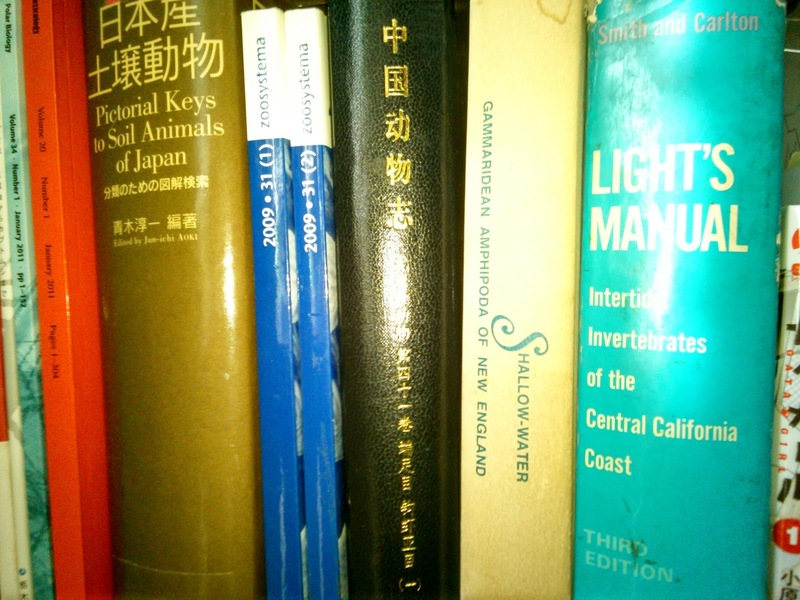 Publications of the Seto Marine Biological Laboratory, 40: 67–96. - 笹子由希夫 2011. 日本産ハマトビムシ科端脚類の分布と分子系統解析. 修士論文. 三重大学.